Frankfurt Book Fair, the largest trade show in publishing in all of Europe, was a productive show this year for the Evangelical Christian Publishers Association (ECPA) Christian Collective. 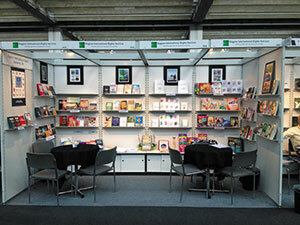 ECPA represents a number of Christian publishers at Frankfurt each year. Several service companies participated in the collective this year: Fred Rudy & Associates, Goodwill Rights and Riggins International Rights Services. A few publishers went to the fair for the first time—Whitaker House, Guideposts and Harrison House. Cindy Riggins, president of Riggins International, sees Frankfurt as a “can’t miss” show. This year, Riggins represented 15 clients—AMG Publishers and B&H Publishing Group among them—and announced the signing of two new clients at the show, Christian Art and Christian Media Publishing, both of South Africa. Jim Elwell, director of international publishing at Tyndale House Publishers, also had a good experience at the fair. Marilyn Gordon, director of rights and contracts at Baker Publishing Group, also had a positive show. “We met with 65 publishing houses from over 25 different countries,” Gordon said. “The face-to-face meetings, information gleaned on publishing activities in different countries and the friendships we develop are all an important part of business at Frankfurt. While the sights and sounds of Vacation Bible School (VBS) have changed significantly in the last 20 years, the foundational reason for conducting VBS is as solid today as when it first was conducted more than a century ago—connecting people to the gospel of Jesus Christ. Providers of VBS curriculum have created a true success story when it comes to changing methods without changing the message. At its core, VBS is evangelism—or at least it should be. Doors that are tightly closed to the gospel message and church participation 51 weeks of the year are suddenly thrown open by parents who are eager for their kids to share an experience from their own childhood, spend a week with grandparents or simply get out of the house. With this openness to the gospel and the church, it is not surprising that more kids make professions of faith each year through VBS-type ministries than any other short-term ministry. Reports gathered by LifeWay Christian Resources from 20,000 Bible schools reveal an average of four professions of faith per school. That’s 80,000 decisions recorded during the week of VBS and does not begin to account for the many professions of faith that result from VBS, but are not made public until weeks later. If an average of four professions of faith per VBS is not reason enough for a pastor to choose to conduct VBS, how about the opportunity to quickly discover large numbers of unchurched families? An average of 10% of VBS participants are unchurched. Based on the combined registration of the 20,000 Bible schools reported to LifeWay, approximately 300,000 kids, teens and adults indicated they do not have an ongoing relationship with a church. When family members of these participants are included, the total swells to 1,050,000 individuals or 52 per church. Many churches minister for an entire year without identifying 52 unchurched individuals who show some interest in the church, yet VBS can produce 52 prospects in one week. It would not be uncommon for many of these individuals to claim to have no desire for a relationship with a church. However, in reality, by participating in VBS, or allowing their child to do so, they have revealed an openness to a relationship, and in the process have typically provided names, ages and contact information—basically everything a congregation needs to build on the relationship begun during VBS. Hopefully you picked up on the phrase “basically everything.” While unchurched families do their part to initiate a relationship by allowing their kids to participate in VBS, its up to the congregation to provide an environment and the encouragement for the relationship to grow. Far too many church leaders assume they have done enough by offering a week of VBS. In their opinion, once the week is completed, it is up to unchurched families to keep the relationships or connections going. The solution to this lament is hidden in the statement itself. The week might have been the most exciting experience of a kid’s life, but if a connection to the church and to the gospel was not made, there is no real reason for the kid, much less his family, to return—at least not until the next big event. Kids have fun at amusement and water parks all the time without an ongoing connection or relationship being made with the park staff. The day may be a mountaintop experience, but the connection ends the moment the kid and his family walk out the gate. The same can be true for VBS unless making ongoing connections is a priority of the pastor and VBS leadership team. LifeWay’s VBS team calls the relationship aspect of Bible schools “building bridges” to unchurched families that connect them to the gospel and the church. Ensuring that VBS is evangelistic and results in building bridges doesn’t happen by accident. It requires intentionality that begins before curriculum is chosen or the first worker is enlisted. Building bridges becomes a priority that permeates every aspect of VBS from the moment the date and time are scheduled to the training provided for workers, to the duties of the registration team, to the follow-up connection actions that are planned for the weeks following VBS. To successfully build bridges, VBS leaders must plan to connect with the entire family—not just the kids. Kids might be the primary focus of VBS, but they are not typically the decision-makers who determine the level to which the family will or will not connect and become involved with a church. Churches that fail to connect with parents typically struggle to maintain a long-term relationship with the kids. Building bridges is not only a work of intentionality but also a work of endurance. Strong relationships are established and strengthened in time and are made up of many shared experiences. A relationship may begin during the week of VBS, but it is the investment of time in the following weeks that will determine the real impact of VBS. As I write this article, I can see four bridges from my office window. Each is different in appearance, width and length, but structurally they are similar. They are all anchored at each end of a span that crosses over other roads or train tracks. However, not far from here is a partially finished structure that was supposed to be a bridge. Construction began with an anchor at one end followed by the beginning of the span. But for some reason work stopped, leaving a ramp to nowhere. If we are not careful, the relationships begun during VBS can become a ramp to nowhere unless those relationships are intentionally nurtured and encouraged. 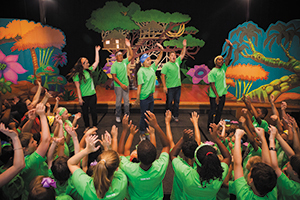 As churches begin preparing for VBS 2015, they have a choice: They can build bridges by intentionally emphasizing the evangelistic aspect of VBS and doing the work required to connect people to the gospel and to the church, or they can provide a week of fun, but let the connection end the moment the kid walks out the door. As a provider of VBS resources, you have a choice as well. You can offer your customers curriculum for a week of fun, or you can offer them the motivation and purpose for conducting VBS—and for doing it year after year even when the going gets tough. Each year, hundreds of churches that have traditionally conducted VBS make the decision not to do so. The surface reasons are many, but in truth, the decision boils down to whether church leadership sees value in the week. Many have lost the vision that VBS is one of their best opportunities for connecting unchurched families to the gospel and to the church. As the retailer who will help church leaders choose which curriculum to use, you also have the opportunity to help them catch a vision for building bridges to the unchurched by emphasizing the evangelistic aspect of VBS. Start by sharing the statistics found in this article, but go further by collecting and telling the bridge-building stories of the churches you serve. Logos Bible Software, maker of the world’s leading Bible software, is rebranding to Faithlife Corporation, a name that reflects a broader line of products and services. In the past few years, Faithlife has expanded from Bible software to become a leading provider of digital content and tools. The company’s major releases include Vyrso, a Christian e-book store and e-reader app (released in 2011); Proclaim Church Presentation Software (2012); the Faithlife Study Bible (2012); Noet, a suite of research tools for classical studies (2013); and Lexham Press, a publisher of digital-first biblical content (2013). A refreshed website and logo accompany the rebrand, and the majority of the company’s offerings can be found at Faithlife.com/About. “We are still the same team with the same leaders and owners and with the same goal: helping our users do more and better Bible study—and more!” the company’s CEO said. 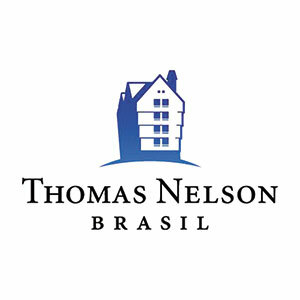 HarperCollins Christian Publishing (HCCP) announced in early October its acquisition of majority ownership of Thomas Nelson Brasil (TNB) from joint-venture partner Ediouro Group. HCCP, TNB and Ediouro will continue to work closely together. The TNB acquisition directly aligns with HCCP’s strategic plan to grow its international presence to support its English-speaking authors who have a global platform while at the same time continuing to publish local voices and content relevant to Brazilian readers. TNB was formed in 2006 as a partnership between Thomas Nelson Publishers and Ediouro. Brazil has been one of the fastest-growing evangelical countries in the world, and Thomas Nelson used its publishing brand and Ediouro’s infrastructure to introduce its U.S. authors to a Brazilian audience. As the brand gained recognition among Brazilian evangelicals, publishing indigenous authors became a focus for TNB. In 2012, TNB published one of Brazil’s top-selling books, Casamento Blinddado (The Bulletproof Marriage) by Renato and Cristiane Cardoso, with 1.8 million copies sold to date. When Thomas Nelson was acquired by HarperCollins Publishers in 2012, TNB became part of HCCP, which includes the Zondervan Group, Bible Gateway, HarperCollins Mexico and Olive Tree. Today, approximately half of TNB’s business is generated by Brazilian Christian authors. Tod Shuttleworth, senior vice president of international publishing, will oversee the TNB business for HCCP. Antonio Araujo will continue as general manager in Brazil for TNB and will report to Shuttleworth, with Omar Souza as publisher. TNB has continued to partner with major churches and denominations as well as local authors, and in 2013 entered the Bible-publishing market. With this new focus, TNB became the second-largest evangelical publisher in Brazil, increasing its revenue by 57% last year. Christian rapper Lecrae achieved No. 1 status on the all-genre Billboard 200 chart with Anomaly. The Sept. 9 release by the GRAMMY-winning artist sold 88,000 copies in its debut week, according to Nielsen SoundScan, and is the first to land atop the chart for the Reach Records label, which he co-founded. Anomaly is the artist’s sixth No. 1 release on the Gospel Albums chart and his fifth leader on Christian Albums, according to Billboard. It also hit multiple other Billboard charts. The release is just the fifth album to top Christian Albums and the Billboard 200 simultaneously, following Chris Tomlin’s Burning Lights (2013), TobyMac’s Eye on It (2012), LeAnn Rimes’ You Light Up My Life—Inspirational Songs (1997) and Bob Carlisle’s Butterfly Kisses (Shades of Grace) (1997). Lecrae’s single “All I Need Is You” also debuted atop the iTunes Hip-Hop chart. “This marks the first time that a Christian hip-hop artist has hit No. 1 on the iTunes Hip-Hop/Rap song chart and the first time a Christian hip-hop artist has hit No. 1 on the iTunes song chart overall!” according to Rapzilla.com. The rapper has sold 1.4 million albums and 2.9 million track downloads. Despite challenging climates—financial and meteorological—for churches and charities across Britain, many turned up “willing to buy” at the recent Christian Resources Exhibition (CRE) North in Manchester, England. 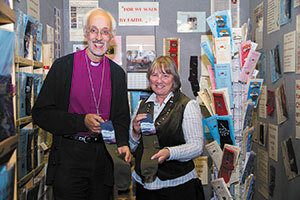 Nearly 2,500 exhibitors, buyers and guests—including no fewer than three Anglican bishops—converged on Event City, the second-largest exhibition space outside of London, for the show Oct. 8-9. 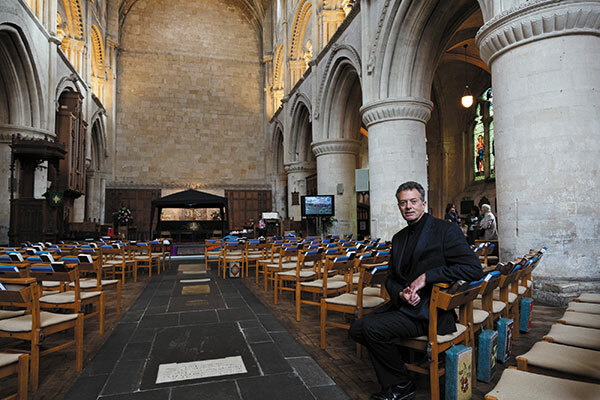 People were determined to sample “the ideal church show”—as CRE is affectionately known—even as rainstorms lashed parts of the country and a main route, the M6 motorway, was closed in both directions for a time. Undeterred, visitors attended CRE’s three major art displays, took in seminars and walked around the 210 stands occupied by almost 190 exhibitors. On show was everything from biblically themed “holy” socks to the highly unusual bicycle hearse. Among those attending CRE for the first time was singer-songwriter Lara Martin. She led morning devotions for exhibitors and lunchtime worship concerts for visitors. She pointed out what seems to be a north-south divide in England. “Especially with music tours or preaching tours, the south is quite saturated with events,” Martin explained. But CRE appears to be helping to bridge that gap with its regional shows. Martin is known for such worship songs as “The Voice Of Hope” and “Divine Exchange.” A number of her compositions have been recorded by other artists, including Sonicflood, Michelle Tumes, Christine Dente and Susan Ashton. In between sessions at CRE, the singer met delegates who were armed with shopping lists for their churches. They’d planned which stands to visit and found exactly what they wanted—including children’s ministry resources. Martin believes CRE is “a real gift to the church,” bringing “a personal touch” to a market that’s increasingly found online. Another first-timer at CRE North was comedian Tony Vino, who helped keep visitors entertained. Vino tours the comedy circuit as well as churches. He is a favorite at festivals like Greenbelt, New Wine and Spring Harvest and says he has a “special heart for men’s ministry.” He is also chaplain at Strangeways Prison and at the YMCA gym in Manchester. He thought that holding CRE in Manchester offered a display of church life in the region. Vino observed that Manchester is home to The Message and Redeeming Our Communities—just two Christian initiatives that have been transforming parts of the U.K.
“CRE is more effective when it becomes regional,” he added. As the CRE organizer, Allen doesn’t believe CRE is more effective in the regions, but he does think it is reaching new audiences in places like Manchester, Birmingham and Exeter. After three decades of steady growth, CRE will hold its international show at London’s Excel for the first time next year, May 19-22. Previously the event was at Sandown Park, south of the capital. Harvest House Publishers author John Weldon died Aug. 30 after a lengthy battle with cancer. He was 66. Weldon was born Feb. 6, 1948, in Chicago and became a Christian as an adult. He earned multiple graduate-level degrees, including a Ph.D. in comparative religion and a D.Min. with an emphasis on contemporary religious movements. He employed his expertise for more than 20 years as a researcher for The John Ankerberg Show. Weldon authored or co-authored more than 100 books, including the “Facts On” series that has sold more than 2.5 million copies in 16 languages. Weldon was a part of the Harvest House family of authors for nearly 30 years. Weldon authored and co-authored more than 65 of his Harvest House books with sales of nearly 3 million copies. “Every single one of these books clearly proclaimed his deep and abounding love for God’s truth,” the company said. Weldon was also known to have “enormous compassion” for the lost, the statement said, observing that it was appropriate that Weldon’s last book was How to Know You’re Going to Heaven. Weldon’s life and ministry influenced many people. Zondervan has published Patrick Morley’s The Man in the Mirror: Solving the 24 Problems Men Face for 25 years, a choice that has paid off in more than 3 million copies sold since its initial release in 1989. Man in the Mirror was selected as one of the most influential titles of Christian publishing by authors William J. Petersen and Randy Petersen for 100 Christian Books That Changed the Century (Revell/Baker Publishing Group, 2000) and has appeared on CBA and Christian Retailing best-seller lists 18 times. A revised, updated version of the book will be released Oct. 7. In the book, Morley helps readers understand what to do about the 24 most difficult problems men face. As life’s demands pressure men to run faster and jump higher, this book invites them to take a look at their identities, relationships, finances, time, temperament and the means to bring about lasting change. B&H Kids acquired 90 children’s titles from Standard Publishing in August. A number of titles from best-selling authors Sally Lloyd-Jones, Mary Manz Simon, Dandi Mackall, Andy Holmes and Susan Lingo as well as brands My Goodnight Bible, Baby Blessings, “Baby’s First” series, First Virtues and The Young Reader’s Bible were included in the deal. Before the acquisition of these preschool products, the majority of B&H Kids content was for children 4 to 8 or 8 to 12. An imprint of B&H Publishing Group, B&H Kids will be releasing some of the newly acquired titles in 2015 and redeveloping some of the content for the future. 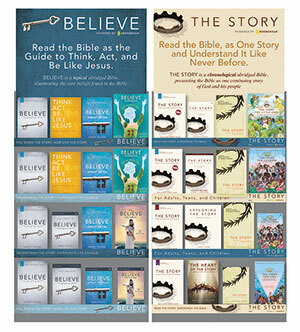 Christian retail chains that saw success with Zondervan’s The Story products are now preparing for a similar campaign with the publisher’s forthcoming Believe line. The all-church Believe program was created by Shelley Leith, director of church relations for HarperCollins Christian Publishing, of which Zondervan is a part. Trained as a systems analyst, Leith also forged similar campaigns, including The Story and 40 Days of Purpose, which was tied to Rick Warren’s The Purpose Driven Life. She and Beth Murphy, director of marketing at HarperCollins Publishers, recently worked with senior management at the Mardel chain’s sales conference “to try to leverage bookstore sales to take advantage of the church market to a greater degree,” Leith told Christian Retailing. Zondervan is challenging Mardel and other stores to build on their church connections. If pastors get the Believe kit, which has all of the curriculum, Leith thinks it will lead to many more book purchases than if individuals just came into the stores. The Believe campaign is a 30-week program, something that churches are accustomed to now, having gone through the 31-week program for The Story. The idea for Believe was borne out of talks between pastor Randy Frazee and Zondervan because “there was nothing else out there” like The Story, and churches wanted more of the same. The Story saw age groups within congregations engaging with the same study as well as cooperation across denominations. Such can be seen in Frankenmuth, Michigan, where churches across town used The Story products and then held a rally together with Frazee as their keynote speaker. Usually, however, Zondervan holds a day of training for churches in a certain area, walking them through how to use the study for different age groups. Churches from Lutheran to Baptist to Catholic all have engaged with The Story curriculum, and are expected to do the same with Believe. There is freedom for each church to teach the basics that they would have in common with all Christians, but to expound on doctrines according to their specific beliefs. “With The Story, they were worried that we were messing with their Bibles, and I think with Believe, they’re going to be worried that we are messing with their theology,” Leith said. To head off such controversy, Zondervan has filmed a panel discussion with Larry Hart, a professor from Oral Roberts University; Leonard Sweet, a professor from the Wesleyan tradition; and Don Sweeting, president of Reformed Theological Seminary. The publisher will encourage stores to use it as a promotional piece and churches to view it to answer theological concerns. Zondervan is recommending that stores keep on hand a loaner kit for churches to let their leaders take home and use. Stores then need to “be prepared to offer discounts on bulk purchases to encourage the churches to send their people to your store or the church could buy them from your store and then offer that discounted price to their people.” Leith said. Zondervan is planning a lengthy product rollout. In December, books for each age group will be available and then in 2015, the curriculum comes out in May and the church kits in September. Believe can be run in three 10-week segments. The publisher has been marketing to pastors since April and started testing the campaign with a group of 30 churches in September. Davis Bunn loves his job. He writes from his Florida home, his home in England, on airplanes, in airports, hotel rooms and waiting rooms. A best-selling author with nearly 8 million copies sold and books translated into nearly 20 languages, he has more ideas than time to write them into books. He and his wife, Isabella, were on their way to California for talks about movie rights and screenplays, then on to England where they live for half the year. Isabella Bunn teaches at Oxford’s Regent’s Park College and at a college near their U.S. home in Vero Beach, Florida. When Bunn began writing novels, he was managing director of an American consulting group and running its European operations. He has worked in 40 countries and made homes in six. “I wrote seven books in nine years before the first was accepted for publication, all while I continued to work,” he said. His first book, The Presence, was published by Bethany House in 1991, and Bunn has never looked back. Since then, he has published with River North/Moody Publishers (The Turning), Howard Books (The Sign Painter) and others. He has written with Janette Oke, known for her prairie settings, and set other stories in countries from Russia to Syria, from Greece to the United States. He has ventured into such unusual subjects as breakthrough energy devices in Unlimited, the dangerous aftermath of the fall of communism in the USSR in Winter Palace and messages from God in The Turning. Ancient antiquities, bribery in the United Nations and nuclear war—there is little on the world stage that Bunn hasn’t plumbed for plotlines and characters, from the ancient world to modern times. His current work, released by Bethany House (Baker Publishing Group) in November, is The Patmos Deception, a modern suspense yarn that pits a reporter, antiquities expert and Greek fisherman against unscrupulous thieves who will do anything to acquire a long-hidden scroll that may exist only in legend. David Horton, editorial director at Bethany House, appreciates what the author brings to the publishing table. Bethany will support The Patmos Deception with print and online advertising, and work toward word-of-mouth outspread via social media and blogger reviews. Bunn will add to the efforts with his own promotions. Co-op options for independent Christian stores remain vital, and the company will put money toward the book appearing in catalogs from Munce Group and The Parable Group. Never content to stick with the same-old, same-old, Bunn is entering a new phase of his career in early 2015 with the first of two new series to be published by Revell, a sister division to Bethany House. Another new series, which he calls “real-time sci-fi,” begins in August 2015 with Trial Run, first in the “Fault Lines” trilogy. Bunn writes both series under the pseudonym Thomas Locke, a change he’s not trying to hide, but instead is using as a way to differentiate his fantasy and science-fiction writing from his other work. Bunn said Thomas Locke was the name of his first forebear to immigrate to the United States in the early 1700s. Part of the fun is that he’s already been contracted to write the screenplay for Emissary. Nicholas Burgess-Jones, the most successful producer of music videos in Europe, will produce and direct the film, which is to begin in April 2015 should investors be found. Bunn also wrote the screenplay for Unlimited (B&H Books). The movie stars Fred Thompson and will be released by Provident Films in March or April of next year. Bunn is also working on two screenplays based on novels that will become made-for-television movies. He served as emcee of the 2014 Christy Awards held during the International Christian Retail Show and as an inductee into the Christy Hall of Fame. He was inducted after winning four Christy Awards in 2000, 2001, 2002 and 2013. Bunn recalls the first time he ever walked into a Christian retail store. He’d been a believer for just over a year when his sister told him about Sign of the Fish in Raleigh, North Carolina. Bunn sees bookstores as vital to sales. Leep said Revell will tap into fantasy markets with ad placements and other opportunities but also expects full support from Christian retail. Despite Sign of the Fish closing, any visit to a Christian retail store is an event for Bunn. “I go in and spend way too much money,” he said with a laugh.